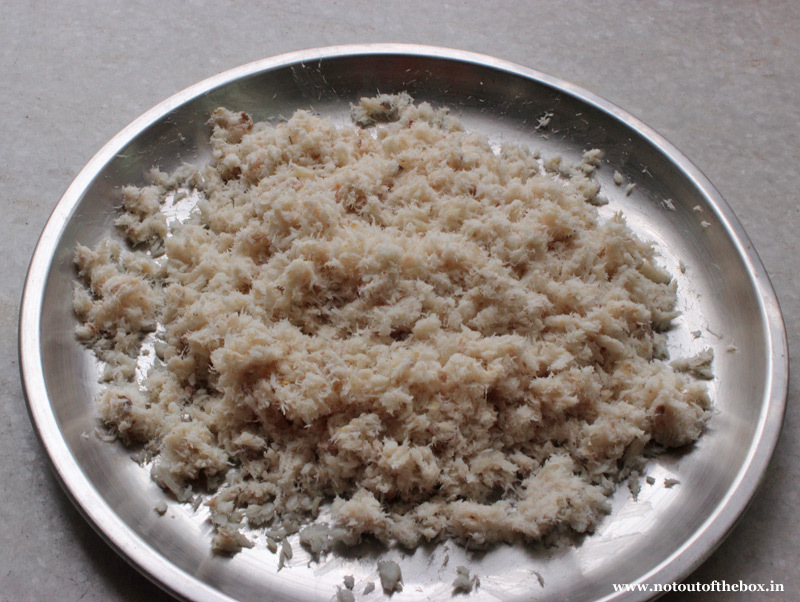 ‘Chop’ is a popular snack of Bengal. There are many varieties of chop. 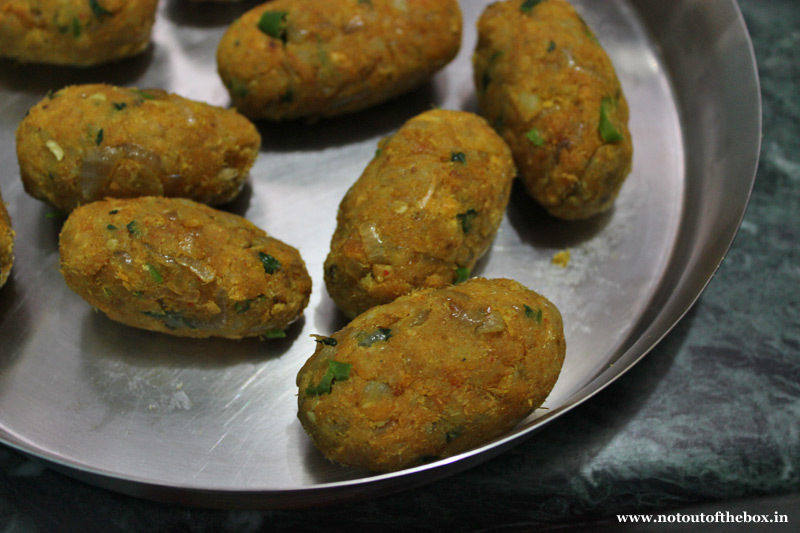 Vegetable chop, Aloo r Chop (potato croquettes), Mocha r chop (banana blossom croquettes), Enchor er chop (jackfruit croquettes), Chicken chop, Mutton Chop, Chingri r chop (prawn croquettes) etc. ‘Fish Chop’ is a famous one among all this, just as popular as ‘Mutton Chop’ or ‘Chicken Chop’. The reason behind this, is of course it’s a non-vegetarian snack. 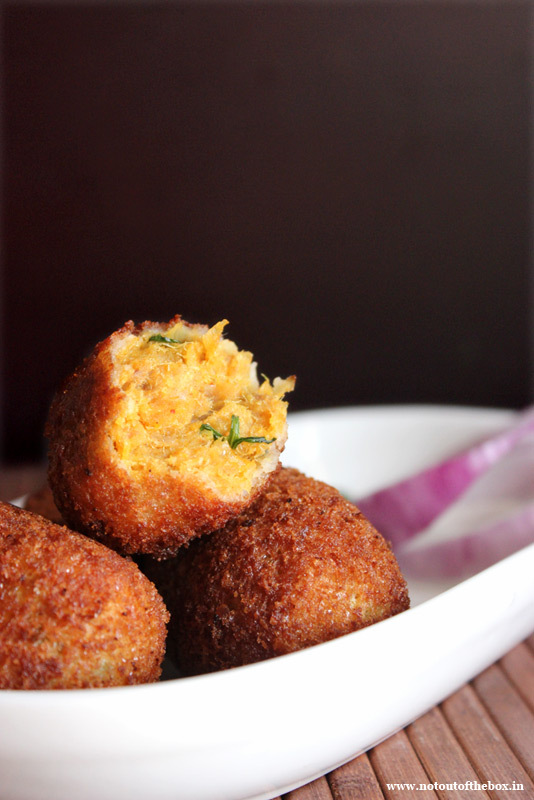 We Bongs love our non-vegetarian foods more than the veg ones. I have never made Fish chop before. But I was dying to make some from the last few days. And hubby just brought some fresh sea fish recently. So no more waiting for me, when I was looking for a good recipe, I just remembered that one of my very talented Blogger friend Chitrangada posted a fish chop recipe on her blog sometime back. So my search was over at that point. I adapted this recipe from her blog. And made some mouth-watering, finger licking good fish chops. I was very happy to make this much of good fish chops for the first time. My family liked it very much. Give this a try. You wouldn’t be disappointed. 1.Take a deep bottomed pan. Add water, fish pieces and all the ingredients mentioned ‘ for boiling the fish pieces’. Cover & give this a quick boil. Once boiled, lower the flame & boil for 15 minutes. Remove from heat. Gently take out the fish pieces from the stock. You can use this stock later for cooking soups or fish curry. Let the fish pieces cooled for some time. Now discard the skin and bones. Mash the fish flesh using your fingers. Keep aside. 2. Mash the boiled potatoes and keep aside. 3. Heat oil in a frying pan (nonstick preferably). Add chopped onion, fry on medium flame till light brown in color. 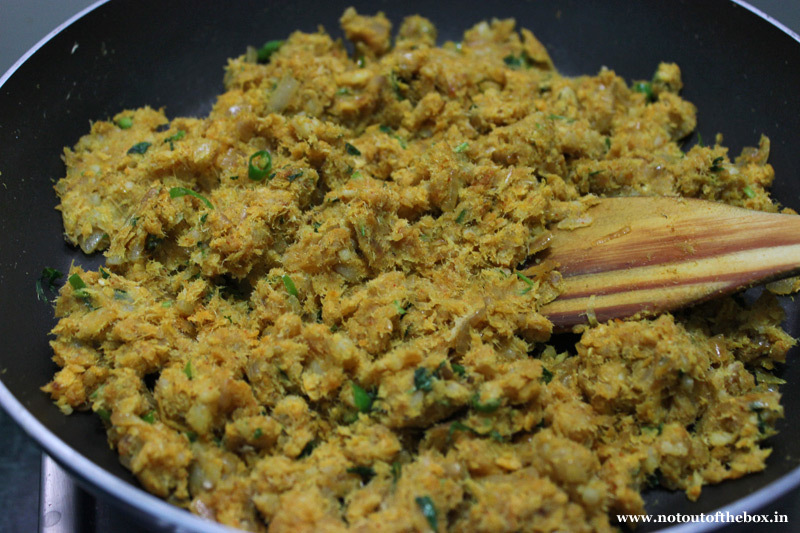 Add ginger-garlic paste, cumin powder, coriander powder, kashmiri mirch powder , turmeric powder and salt. Mix well and fry for a minute or till oil separates from the masala. Add mashed fish and chopped green chilies. Mix well and cook for 2-3 minutes on medium flame. Keep stirring in between. Now add the mashed potatoes, garam masala powder, chopped coriander leaves and sugar. Mix very well, cook this minimum for a minute on low flame. Keep mixing until well combined. Remove from heat. Let this mixture cool down a bit. 4. Meanwhile in a bowl beat 2 eggs. 5. Now make chops from the warm mixture using your fingers and palms. You can give your chops any shape. I made mine cylinder shaped. Just like the way I used to had them in Kolkata. 6. Deep the chops in egg batter and coat them with breadcrumbs. After coating all the chops with breadcrumbs, just repeat this process of dipping them in egg & then again rolling on breadcrumbs. This two round of coating is a very important part. This gives the chop a perfect look. What fish did u use ? Hi Monalisa! You can use any fresh river fish like rohu, katla, shol etc.